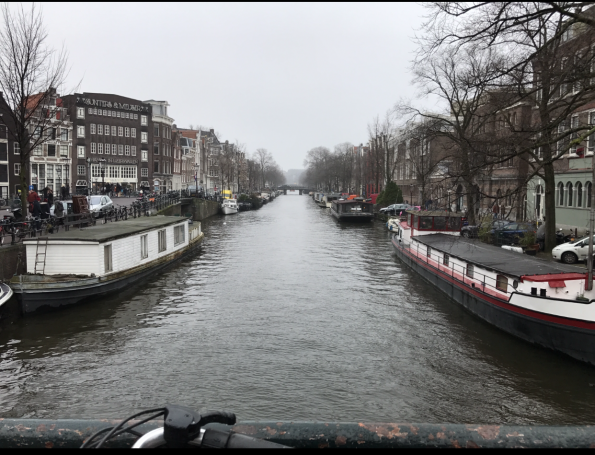 I finally arrived in Amsterdam on 12/30, which was great because it gave me the chance to get used to the city and where things were before New Years Eve. 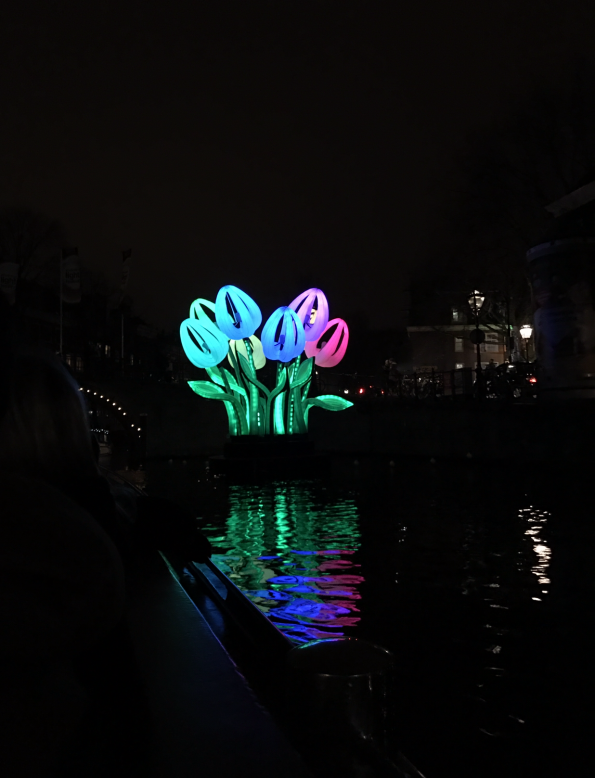 I had booked a Lights Festival Canal Cruise for 8:45pm on 12/30; however, with all of the delays I didn’t think I would make it on time. But, I was in line to board the boat at 8:43pm, no joke. The cruise was really fun. It was open boat and really cold, but they had mulled wine to sip on to stay warm. It was my first time ever trying mulled wine, and it was delicious!! After the cruise I went back to my Airbnb and started planning what I wanted to do the following day. The next morning I decided to walk around Amsterdam a little before heading to the Anne Frank House. It is such a cute city. The canals are wonderful and relaxing. The houses in central Amsterdam are pretty much all canal houses, but they all have their own character. I thought it was fun to just look at the different houses on my walk. I eventually ended up at The Anne a Frank House and it was a wonderful experience. I will definitely write about it on its own post. 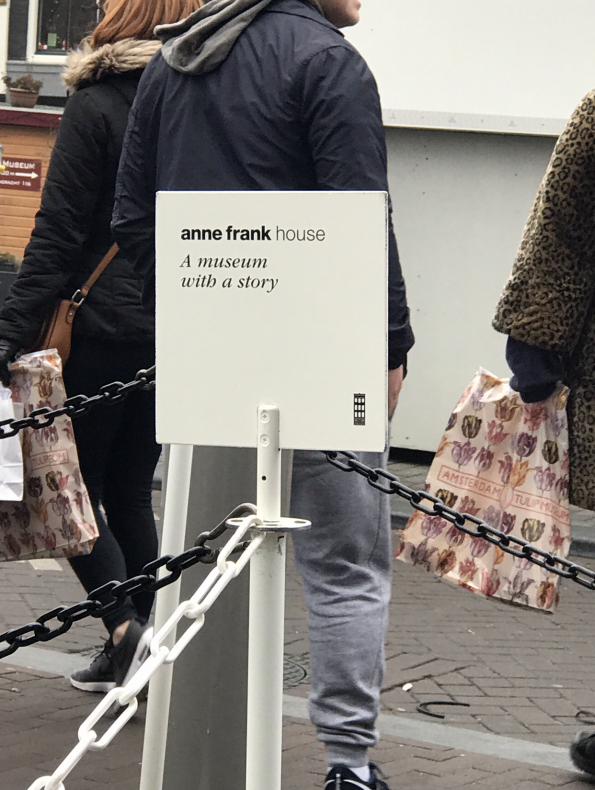 The tour takes you through the actual hiding place of Anne Frank and her family, and lays out their story right in front of you. It was very cool to be able to walk along the same areas as they did, and see the bookcase to the hiding spot. They even have her original diary and notebooks on display, but no photos were allowed in the museum. After the Anne Frank House I walked over to the Amsterdam sign. It was really crowded, but it is in the same area as all of the museums, so it was nice to walk around and see the Van Gogh Museum, and the Rijksmuseum. The whole museum area is a really beautiful place to go even if you don’t walk into any of the museums. After the museums I went home and started to get ready to ring in the New Year!